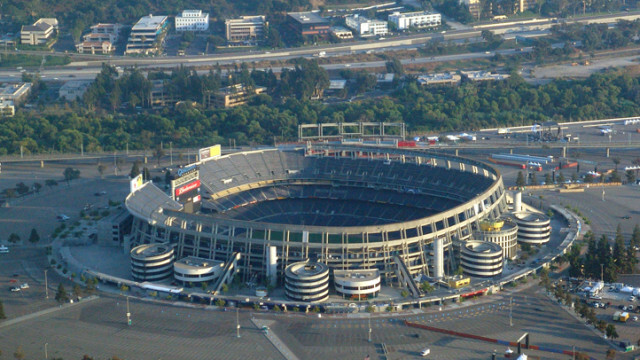 Voters will have their pick between two plans for the future of the SDCCU Stadium site after the City Council Monday unanimously voted to send San Diego State’s expansion plan, SDSU West, to voters. The council in June voted to place the SoccerCity question on an upcoming ballot, likely in November. The City Code stipulates that ballot initiatives go first to the council for consideration. Before the vote, Councilman Scott Sherman raised concerns about the SDSU West plan, some of which were also raised by City Attorney Mara Elliott in a report released earlier this month. But he said voters should be allowed to choose which plan they think is best. Elliott found the SDSU West plan comes with a lot of uncertainties, including whether SDSU or another government entity would buy the site. She also found there would be no guarantee the project would be built as planned — or at all — if it were approved by voters. SoccerCity has started campaigning based on those uncertainties. “We look forward to this important debate, because we think ultimately it will be clear to voters that SoccerCity offers much more for them,” SoccerCity project manager Nick Stone said. The university has built to capacity in its current footprint, which means the proposal would allow SDSU to grow its academic, research and housing facilities to meet increased student demand that cannot be met at its current campus. Included in the plan is 1.6 million square feet of classroom and research buildings, a river park and open space, 4,500 housing units, retail shops, a pair of hotels and a multi-use, 35,000-seat stadium for college football and other sports. The land is three trolley stops from the main campus. SDSU officials said the project would be mostly funded by public- private partnerships, and wouldn’t rely on taxpayer financing. The main exception would be the stadium, which would be funded by bonds to be paid back by future revenues.